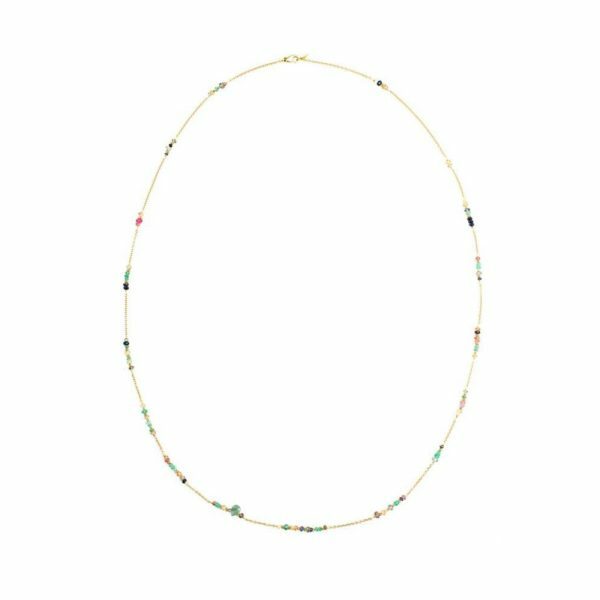 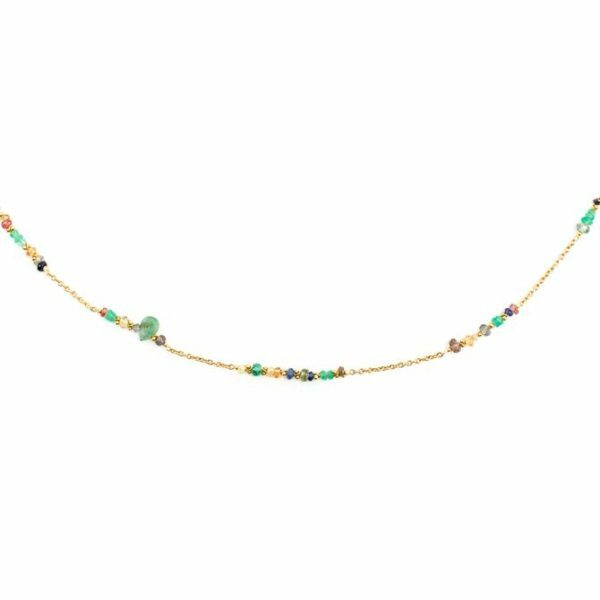 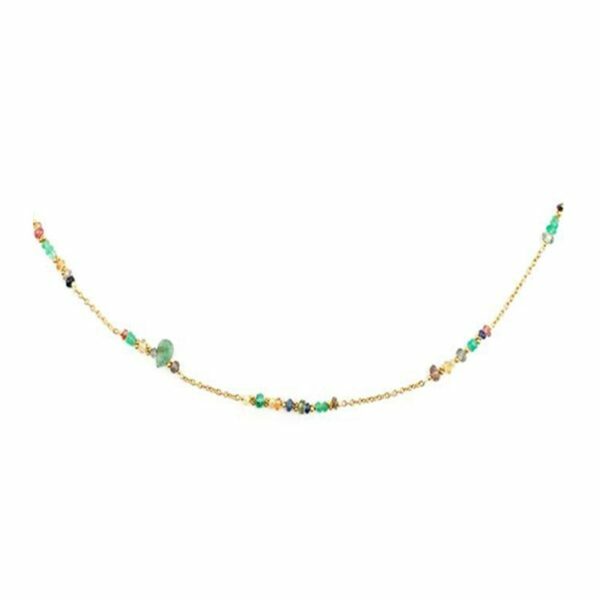 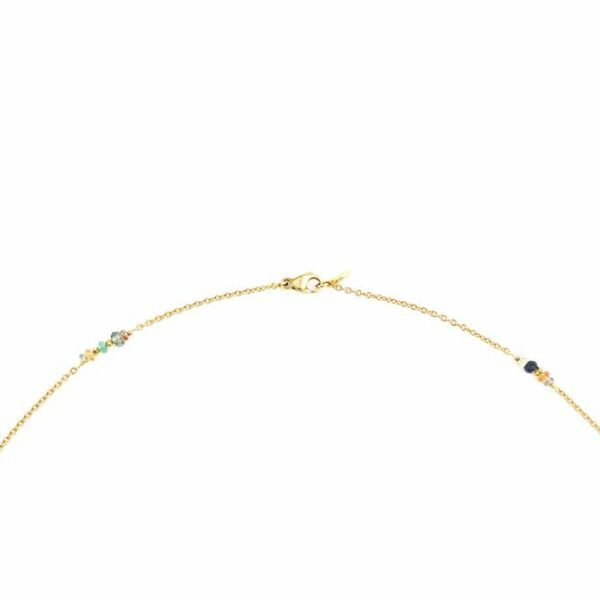 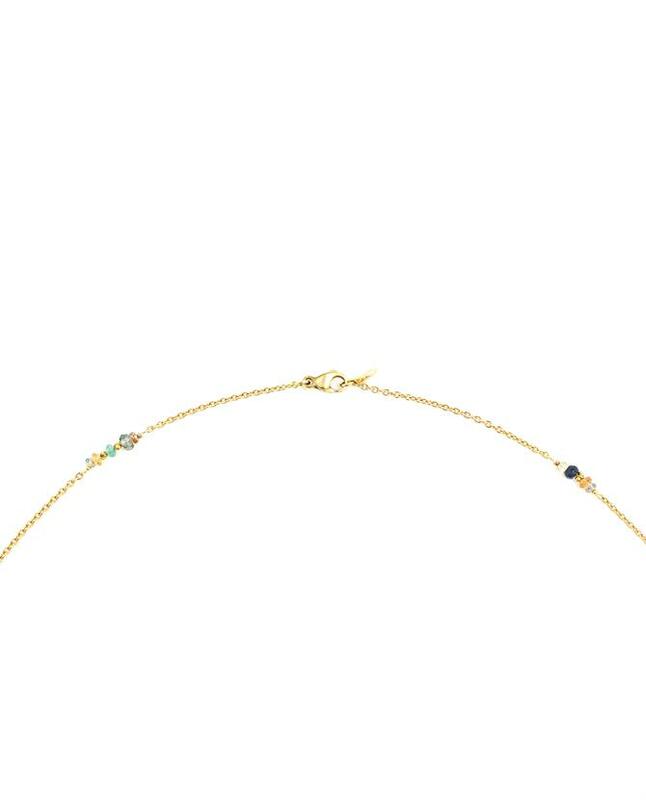 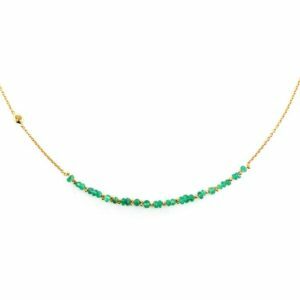 An 18ct yellow gold necklace made up of emeralds, sapphires, spinel & diamonds to create a vintage modern look. 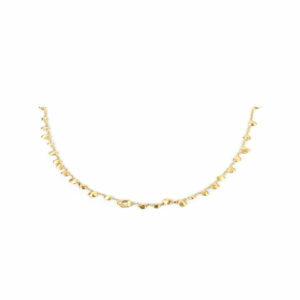 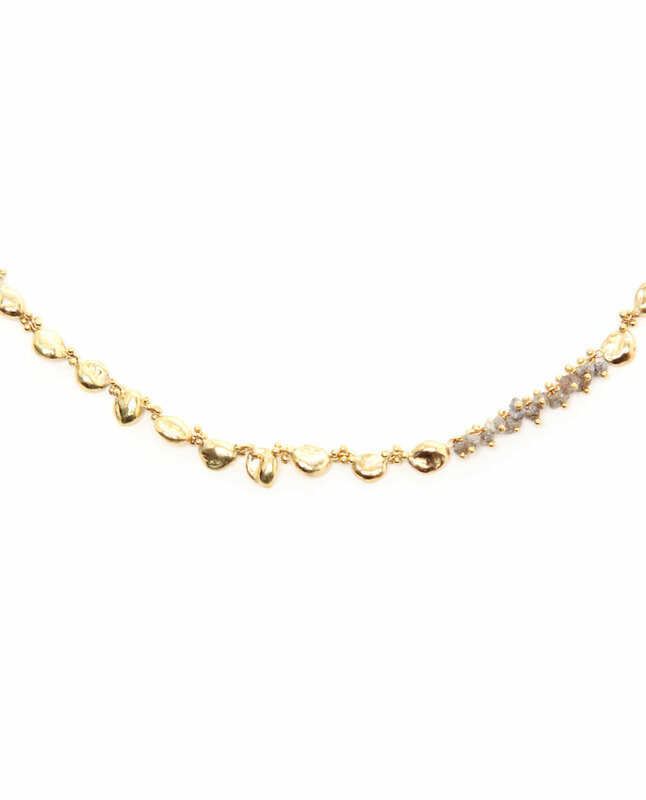 Solid 18ct yellow gold necklace. 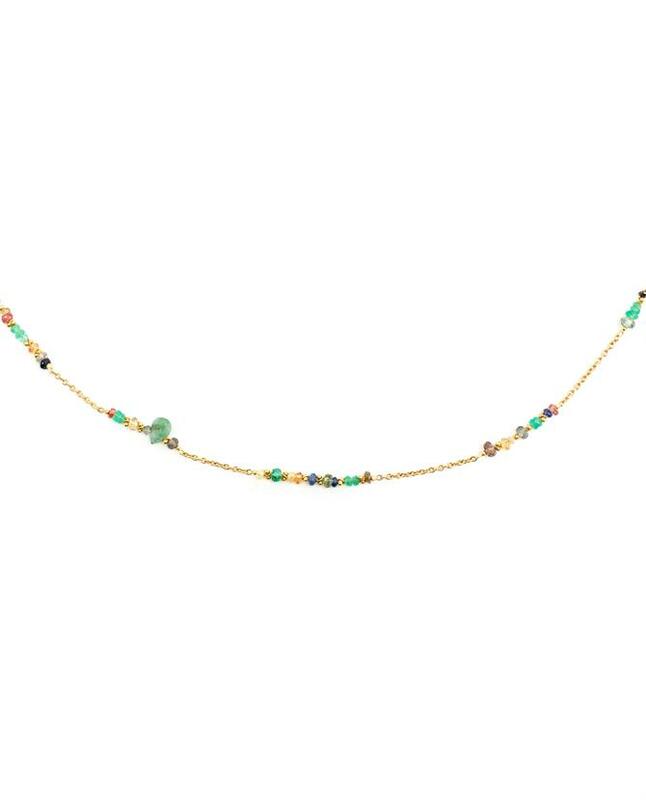 The necklace has Emeralds, Peach & Grey Sapphires, Spinel & Diamonds. 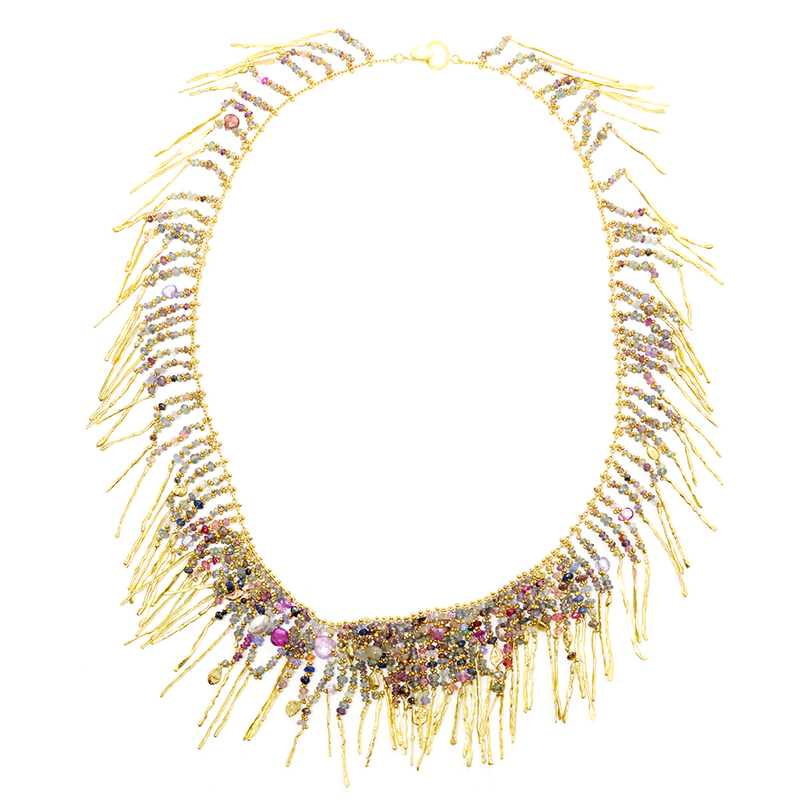 The approximate length of the necklace is 66cm.